It is impossible to deny that the 14th July was one of the darkest days in athletics for many years. During the afternoon, it was announced that Tyson Gay, the second fastest man in history, had failed a drugs test and would be withdrawing from the World Championships. That was shortly followed by the news out of Jamaican that Asafa Powell and Nesta Carter had also tested positive. In the space of a few hours, three of the five fastest men ever to run were revealed to have tested positive for performance-enhancing drugs. It paints a dark picture of sprinting. No fewer than ninety sprinters have run 100m times below the magical mark of ten seconds. Sadly, no fewer than twenty-four of those ninety have failed a drugs test at some stage in their career. In other words, over 25% of those sprinters that have dipped under the ten second mark have tested positive during their career. At the top end of the list, it gets far worse. Thirty sprinters have run sub 9.90 times in their careers. Thirteen of those have now failed drug tests. That works out at over 43% of sprinters sub 9.90 that have a doping record. Of the nine fastest men in history, there are only two that have never failed a doping test – Usain Bolt and Maurice Greene. Tyson Gay, Yohan Blake, Asafa Powell, Nesta Carter, Tim Montgomery, Justin Gatlin and Steve Mullings have all tested positive. In the face of this, one cannot help but feel somewhat suspicious of Usain Bolt. Do not get me wrong, I am not necessarily implying that Usain Bolt is doping. As much as anyone, I would be heartbroken if it were to come out at some stage that he had been – it would be the final nail in the coffin for sprinting. However, it feels very similar to the Lance Armstrong situation. Can it be possible that a clean athlete, which of course it turned out Armstrong was certainly not, can be so superior to the next best sprinters, all of whom have been proven to have been using performance-enhancing drugs? For so long, the nearest challengers to Lance Armstrong were proven to have been systematically doping, yet the American constantly proclaimed his innocence. Finally, in an interview with Oprah, he admitted that he had been using performance-enhancing drugs throughout his career and that he felt a clean cyclist could not have won the Tour de France during that period. Much as people would like to believe otherwise, the spotlight will be focused on Bolt now. Excluding the Jamaican, the only man in history to have run sub 9.8 seconds that has not tested positive is Maurice Greene, and there have been plenty of accusations levelled at him since his retirement that he was using performance-enhancing drugs. While nothing has ever been proven, there is rarely smoke without fire. So, if we ignore those that have tested positive and Maurice Greene, given the intense speculation surrounding his history, the next fastest men that, to my knowledge, have never been linked with doping are the Canadian pair of Donovan Bailey and Bruny Surin. Their fastest-ever 100m time was 9.84 seconds – a full 0.26 seconds slower than Usain Bolt. Of course, there are arguments that can be made that Usain Bolt is clean. He is a very unique build for a sprinter – his height, stride length and the power that he can generate are unlikely virtually any other sprinter in history. His progression in times as he has aged seems relatively believable, although the sudden drop in his personal bests between 2007 and 2008 are quite remarkable. Overall, there are convincing arguments that he might well be clean. However, it would be a foolish person not to have any suspicions. For so many years, people believed the best about Lance Armstrong. 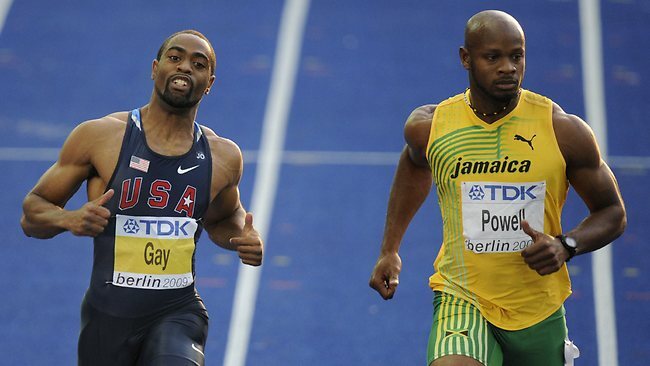 There was virtually no suspicion on Asafa Powell and Tyson Gay. 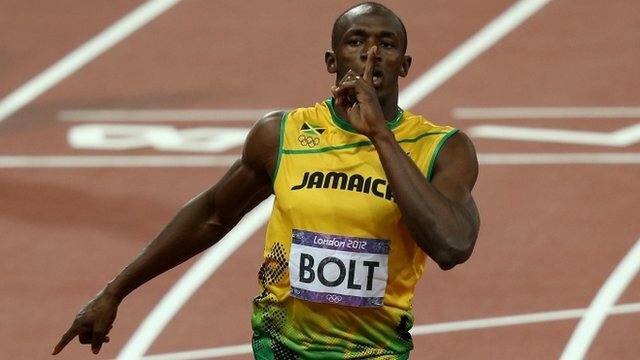 The latest revelations make it very difficult not to be sceptical about Usain Bolt. This is not to say that all feats of sporting excellence must immediately beg the doping question. The first response to Chris Froome’s magnificent solo wins on Ax 3 Domaines and Mont Ventoux was to accuse both him and Team Sky of following in the footsteps of Lance Armstrong and the US Postal Team. Some athletes really just are naturally superior. Each sport will have at least one outstanding leader in each generation. Usain Bolt could be that outstanding athlete. I would like to think so. However, only a fool would not question his achievements in the light of what has recently transpired. Everyone at the top level of most sports are using performance enhancing drugs. That's just the way it is. It is an extremely competitive world. Cheating in all walks of society has been around since the dawn of civilisation. That's human nature. When you witness a performance that seems too good to be true, then most often than not it is. Sport = millions of dollars during a stellar career with the aid of training and natural talent topped of with the use of performance enhancing drugs. It is not the best athletes that are winning, but those whose physiology responds the best to performance enhancing drugs. So called hyper responders. The biological passport is flawed, and drug testing which is extremely expensive and far from being economically viable, plus the fact that athletes know how to easily pass a potentially positive drug test by various methods and means has paved the way for performance enhanced synthetic robots, most of whom will never fail a drug test, deny all accusations of doping, retire and possibly live happily ever after with a vault full of fraudulently earned prize and sponsorship money. I feel compelled to comment on your article after watching Usain Bolt in the Rio Olympics. I continue to question his honesty. Call me jaded but how is everyone around him doping but he is clean?